Califia Farms is well-known for its delicious almond milk and creamers. Now the company is jumping on the oat-milk bandwagon with a new product line: Übermilk. Made with oats and pea protein, this new dairy-free milk boasts eight grams of protein per serving and is available in three flavors: unsweetened, unsweetened vanilla, and chocolate. Plus, Übermilks have all eight essential amino acids, calcium, iron, potassium, vitamin D, and vitamin E.
Übermilk is a leap into the next frontier. Nutritionally Übermilk is one of the more nutrient dense plant milks on the broader market with a powerful combination of both macro and micro nutrients, and most importantly it wins on taste and texture, thanks to our naturally creamy and great-tasting Oatmilk serving as the base. The market for oat milk is growing at an astronomical rate, and Califia Farms isn’t the only company expanding its offerings. In October, Oatly, a Swedish brand that launched its oat milk in the U.S. in 2016, announced it would open a new 19,000-square-foot facility in Millville, New Jersey, to meet the demand for its products. This new facility will expand the company’s production capacity eightfold. And in a true sign of the times, the beloved 141-year-old Quaker Oats Company recently rolled out its own line of oat milk, already available in stores. Silk—a brand known for soy milk—also added the new Oat Yeah line to its list of plant-based products. Available in plain, chocolate, and vanilla, Silk’s oat milk is currently sold at major grocery chains, including Target, Walmart, Sprouts, and Publix. More and more people are trying healthful plant-based alternatives to their favorite dairy products. In fact, a recent survey from agribusiness giant Cargill reveals that half of U.S. dairy consumers also use vegan dairy alternatives. Ready to give dairy-free eating a shot but not sure where to start? With all the amazing plant-based products on the market, there’s never been a better time to ditch dairy for good. 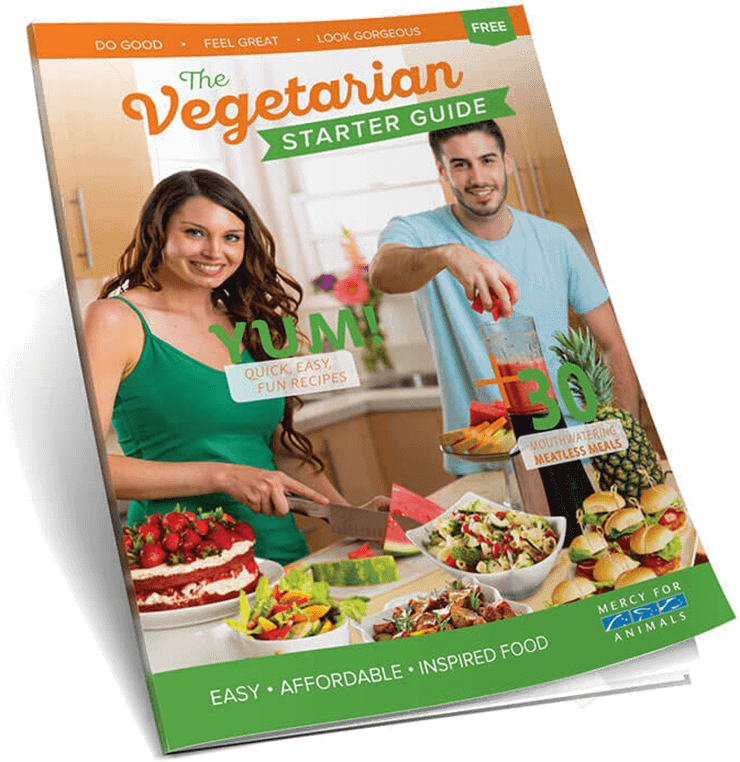 Get delicious plant-based recipes, easy meal ideas, and tips on making the switch by ordering a FREE Vegetarian Starter Guide today.